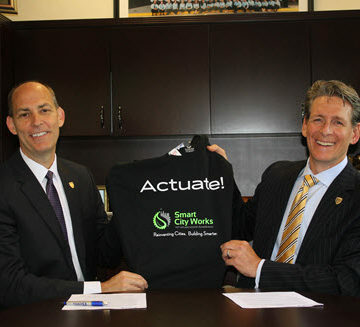 ASCE Executive Director Tom Smith and Smart City Works co-founder Gregory Sauter. ASCE has formed an alliance that will collaborate on ways to bring innovative technologies and civil engineering projects to market. The agreement with Smart City Works seeks to reduce the life-cycle costs of infrastructure, develop future generations of engineers, and move innovations from ideas to reality, aligns closely with ASCE’s Grand Challenge strategic initiative. 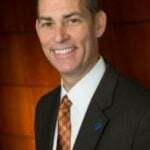 “ASCE is committed to advancing sustainable infrastructure and reducing life-cycle infrastructure costs by 50 percent by 2025, and we are keenly aware that accomplishing this Grand Challenge will require the profession’s unified commitment to innovation,” said ASCE Executive Director Thomas W. Smith III, ENV SP, CAE, F.ASCE. 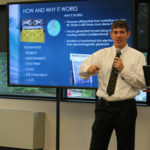 Smart City Works seeks out civil infrastructure solutions from around the world and then gives them a path to commercialization through what they’re calling a business “actuator.” Innovators and companies are selected for a three- to five-month cohort to refine business models, enhance operations, and improve their products. Under the memorandum of understanding, ASCE will provide technical and advisory support to Smart City Works, including referral of winners of the ASCE Innovation Contest and experts to review and evaluate project proposals. 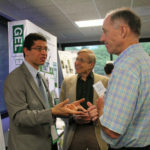 The group was founded by David Heyman, Robert Mazer, and Gregory Sauter, the latter an ASCE member. 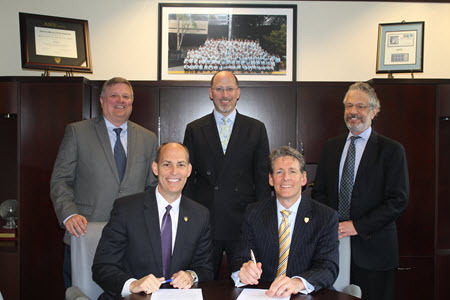 ASCE and Smart City Works have signed a memorandum of understanding. Pictured, front row from left, ASCE Executive Director Tom Smith and Smart City Works founder Greg Sauter; back row, ASCE Senior Managing Director John Durrant, and Smart City Works founders David Heyman and Robert Mazer. “ASCE is the preeminent organization representing civil infrastructure, so for us this is an important partnership,” said Sauter, P.E., M.ASCE. “Our mission is to identify and speed commercialization, create a new vehicle for innovation, and provide a forum for thought leadership to improve the world’s infrastructure and have a meaningful impact on the grand challenges. 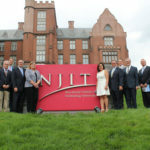 Smart City Works will present at the next Innovation Contest event, July 12-13, at the New Jersey Institute of Technology. In the context of India where the smart city concept has already been recognized and incidentally Hon’ble Prime Minister of India is inaugurating the smart city project in Pune today. It is becoming necessary to create a future concept of development of cities which is economical and cost effective. I would appreciate if you could share the concepts on which the work is being done in your own country.